Nicolás Pereda of Mexico and Jacob Schulsinger of Denmark met in the DOX:LAB talent programme and made Killing Strangers together, a story of three young men who try, and fail, to join the Mexican revolution in 1910 and get lost in the desert north of Mexico. The film is screening in the Berlinale Forum. Jacob Schulsinger and Nicolás Pereda had five days to come up with an idea for a film. Moreover, the film would be shot in Mexico. As the Danish and the Mexican director were meeting in Copenhagen, during the CPH:DOX talent programme DOX:LAB, they were prevented from taking the traditional documentary route of sussing out a story. Instead, they discussed the intersection of fiction and documentary – and they came up with the idea of using casting tapes. “Casting tapes are used in fiction films, but they are also a type of documentary, not directed. It’s a real person trying to play a role. Documentary and fiction in one, in a way,” Schulsinger says. Pereda saw a parallel to a campaign from 2010 conducted by the Mexican state to commemorate the Mexican Independence and the Mexican Revolution. Isn’t history writing a type of fiction, too? A set of conventions about how we see ourselves as a people? What if, the two filmmakers wondered, they organised a casting, inviting ordinary Mexicans to give their representation of the revolution? 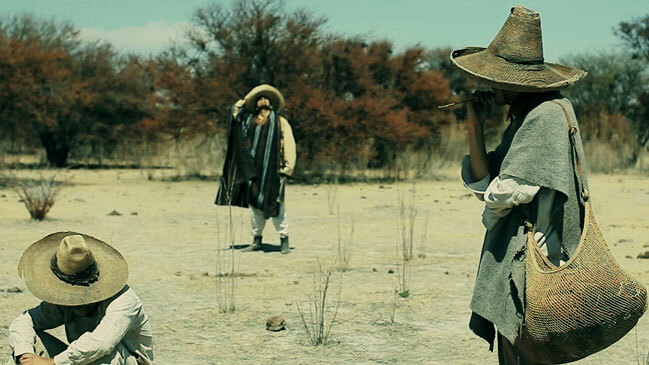 From there, it was a short leap to exploring how the revolution lives on in the consciousness of Mexicans – in a film at the intersection of fiction and documentary. Schulsinger quickly saw that Pereda, whom he had only known for the five days in Copenhagen, had been shaped by a different film tradition than his own. “DOX:LAB is pretty amazing that way. Before I met Nicolás, I had mostly known Nordic filmmakers with their focus on plotting and dramaturgy, while Latin America has seen a wave of so-called slow cinema, where it seems like the less that happens, the better,” Schulsinger says. A different approach to content is not all the Danish filmmaker picked up. In Pereda, he also saw an attitude to film production that he could learn from. “Pereda is just 30 years old, but he has already made five features, some of them for less than 5,000 dollars. In Denmark, we have a terrific subsidy system, but we also end up spending a lot of time applying for funds and doing development, while his way of working is altogether fresher,” Schulsinger says. So is Killing Strangers, which, all included, was made in less than six weeks and cost approx. 24,000 euros at a runtime of 63 minutes. Getting used to not having total control was a challenge for Schulsinger. “My first thought was ‘This is going to be hell’. But then, as I was sitting in the plane, it dawned on me that maybe it was just performance anxiety, that maybe I should just plunge into it, enjoy the process and be present in the now – and not think I have to know everything in advance,” Schulsinger says. For the same reason, his advice to future participants in DOX:LAB and similar collaborative projects is anything but ambiguous. “Plunge into it and see it as an experiment. The idea is to not make ‘another’ of your own films but seize the opportunity to do things you would never do on your own – and be forced to actively consider who you are as a filmmaker,” Schulsinger says . Killing Strangers is produced for Secher & Schulsinger and Interior13. Killing Strangers is supported by the Danish Film Institute’s Film Workshop. DOX:LAB began in 2009 on the initiative of the Copenhagen-based CPH:DOX festival for the purpose of developing filmmaking talent across national borders and expanding the boundaries of the documentary genre. During the festival, around 10 film concepts are developed every year by teams pairing a filmmaker from a European (generally Nordic) country with a filmmaker from somewhere else in the world. CPH:DOX teams up the filmmakers, the film has to be made within eight months, the filmmakers have to do every step of the process themselves and they get a limited amount of funds. The film must be shot in the non-Nordic country. There are no requirements for theme, form or runtime. A Swedish-Argentine DOX:LAB film, Accidentes Gloriosos, by Marcus Lindeen and Mauro Andrizzi, won the Orizzonti Award at the 2010 Venice Film Festival. Jacob Schulsinger, 33, graduated from the National Film School of Denmark as a film editor in 2009. Schulsinger has edited Rúnar Rúnarsson’s Volcano and Ruben Östlund’s Play. He is currently working as co-editor on Lars Von Trier’s next film Nymphomaniac. Schulsinger’s first film as director is the short film Fini. Killing Strangers is Schulsinger’s first feature. Nicolás Pereda, 30, is from Mexico City. Pereda has directed five feature films, including Summer of Goliath (2010), winner of the Premio Orizzonti Award at the Venice Film Festival and other awards. Greatest Hits, Pereda’s most recent film, premiered in competition at the Locarno Film Festival.